We change lives. It may seem like an overstatement, but just ask these folks. There is nothing more rewarding than being able to empower someone to smile again. Dental health has a direct impact on your mental and physical well-being, and we encourage you to learn more about how we can help. Spend a few minutes reviewing the cases and comments below, and please call us for a free consultation to see if we might be able to do the same for you. 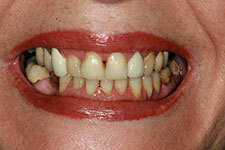 This patient was told she had no available bone for dental implants. She wore dentures for 25+ years. Dr. Carollo along has a solution for "No Bone" patients. This patient did the recommended treatment and now 4+ years later is eating normally again. 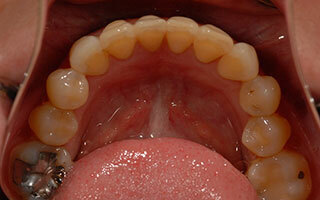 Dentures chew your food with only 20% as effectiveness as compared to natural teeth. 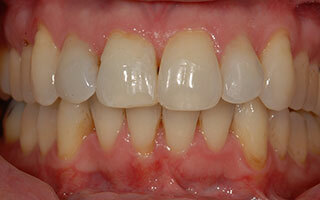 This patient and all our dental implant patients chew 95% as effective as compared to natural teeth. This patient wore dentures for 15+ years and once her children were finished with college and weddings, she felt it was her time. 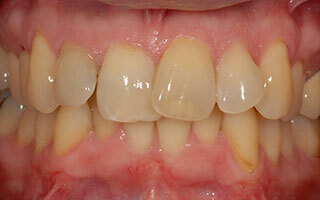 We did six implants and the patient went from a full upper denture to a full fixed, non-removable solution. 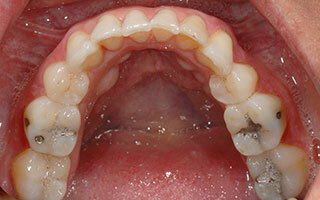 This patient had her lower teeth restored by Dr. Carollo in 2001. 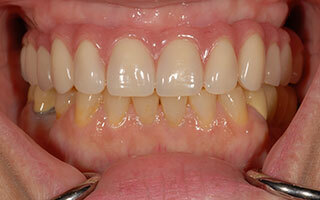 She knew her upper teeth had periodontal, gum, disease but was not ready to lose them all yet. She always smiled with her hand over her mouth, not comfortable with her smile. But in 2013 she knew it was time. 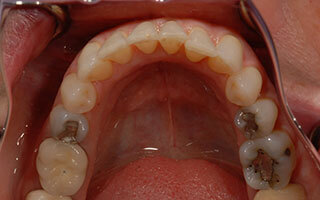 We did an "All-on-4" Nobel Biocare case with a Full Upper Fixed solution. This patient now smiles so much. She is an advocate for this procedure and Dr. Carollo making herself available for patients who are contemplating this treatment. 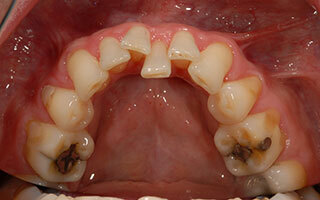 This patient had many years of going to the dentist. She was faced with extensive dental therapy. 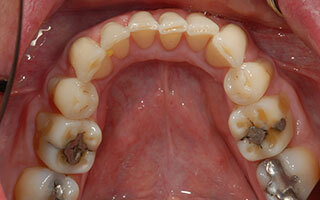 Numerous root canals, missing teeth and another go round with conventional dentistry that had already failed. 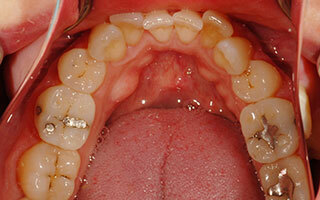 She opt with Dr. Carollo's recommendation to so upper and lower full mouth dental implants. Her case and her smile look great! 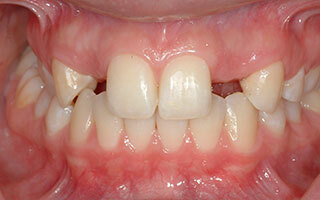 This patient was born without her upper front two lateral incisor. 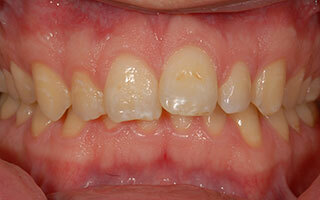 This is called congenitally missing teeth. We knew this at age 10 years old. The orthodontist created the space for us. 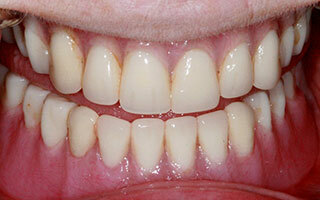 When she was 19 years old, two dental implants were placed and two All-Ceramic Crowns were done. 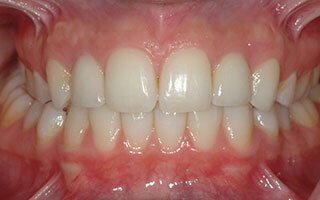 This is an outstanding result with dental implants. 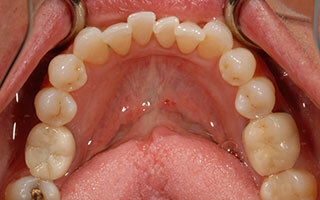 This patient disliked his upper teeth and did not like wearing a lower removable partial denture. Full upper and full lower dental implants and two fixed implant bridges were the solution to help this patient and change his smile! 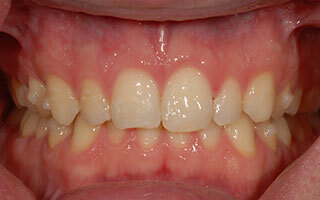 This patient was involved in an accident as a teenager and lost some teeth. 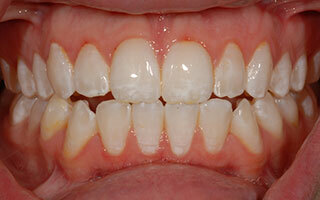 Also he had short roots and was not a candidate for conventional dentistry. 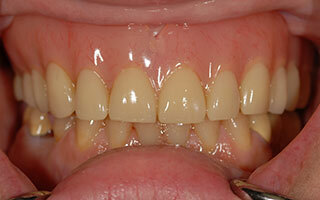 Six upper implants and a porcelain fixed bridge gave him back the smile and function that he had prior to his accident. This patient had 3 teeth remaining and was wearing an Upper Partial Denture, She always smiled with her hand over her mouth. 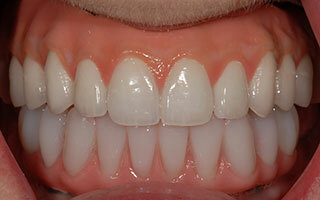 We place 6 dental implants and a Upper Implant Restoration. 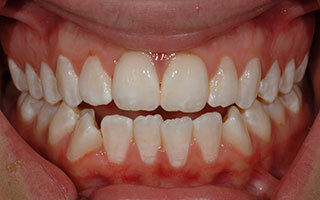 Now the patient has the smile and function she always wanted. The patient’s only problem is that her jaw his sore because she is smiling so much! It is the greatest compliment for a current patient to recommend a friend or family member. Everyone has many choices when it comes to picking their dentist, and we are very proud to have 80% of our new patients come from referrals. Currently, we are organizing the feedback we have received to share on this page. Meanwhile, feel free to click on the link below to visit our Google+ page. Here, you will be able to read our latest reviews and to share a positive experience you have had with Dr. Carollo and his team.